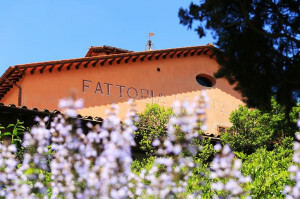 The main building is highly original in design with its layered, overhanging roofings and a clock with belltower marking out the rhythms of the day. 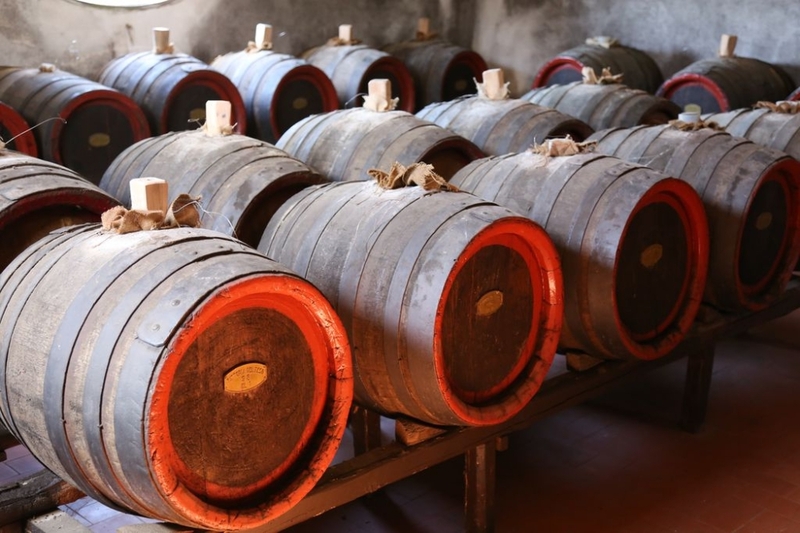 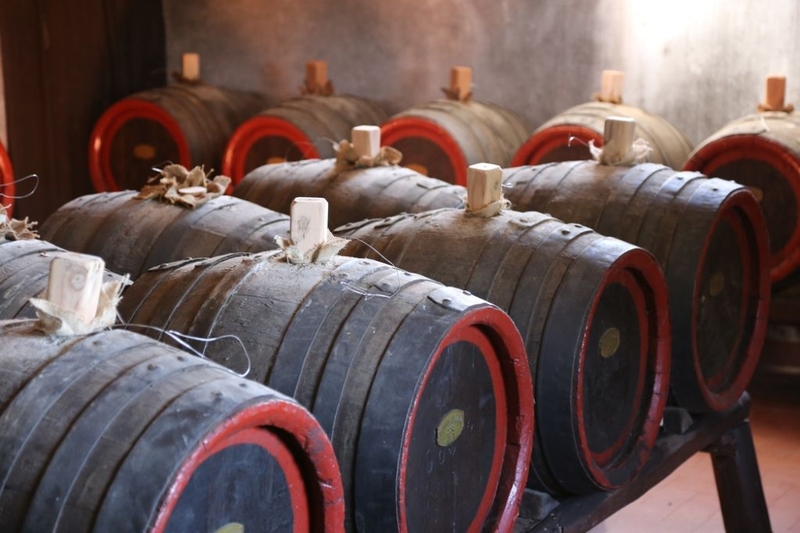 The storage cellars are in the underground floor; the offices, storerooms, cooling and bottling rooms are on the ground floor; the reed mats for air drying grapes are on the first floor and the casks for ageing Vin Santo are on the second floor and attics. 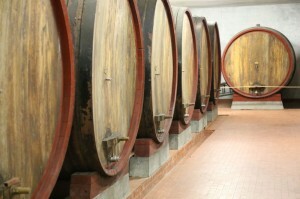 In front of this building is another one used for fermentation, the tanks are glazed cement and stainless steel. 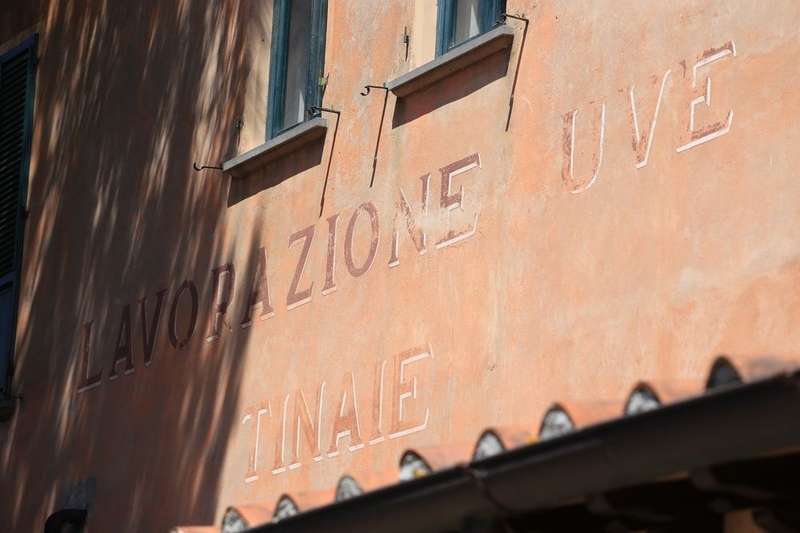 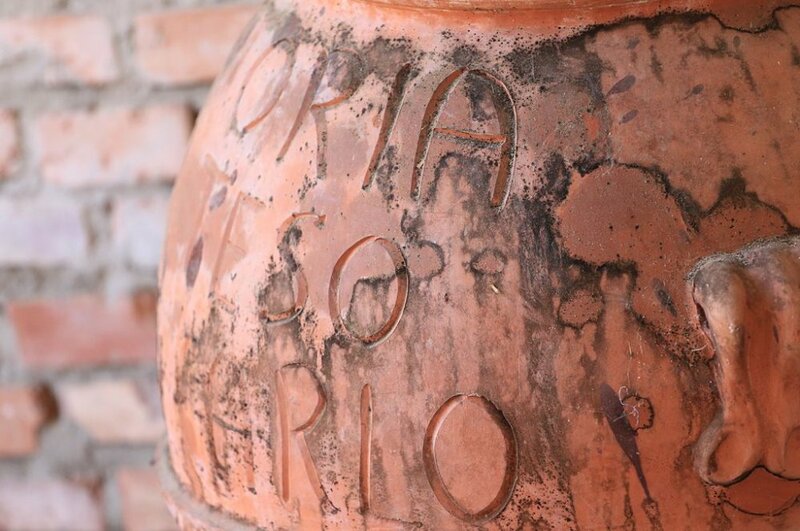 In the territory of the Fattoria are located charming farmhouses, many centuries old, which give their names to the estates: Albereto, Vannelli, Starzeno, Le Viottole, Le Fontane. 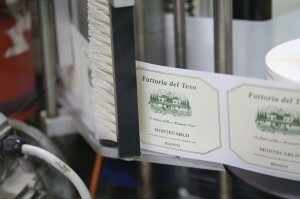 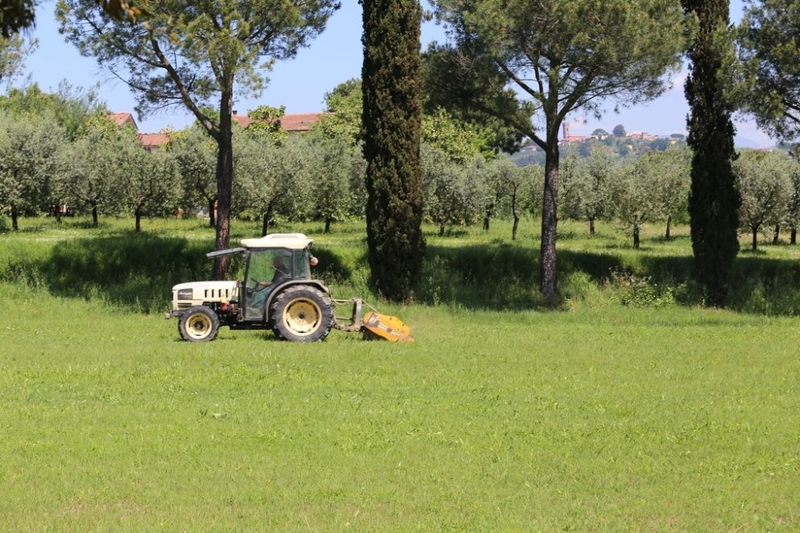 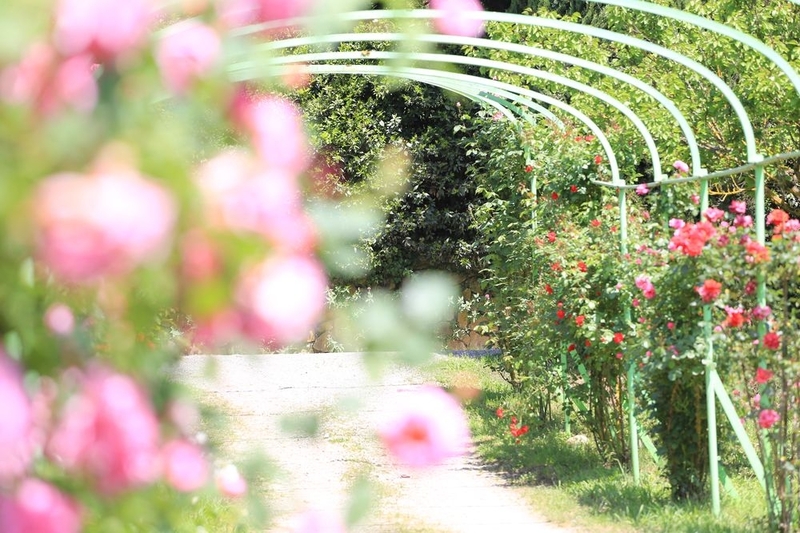 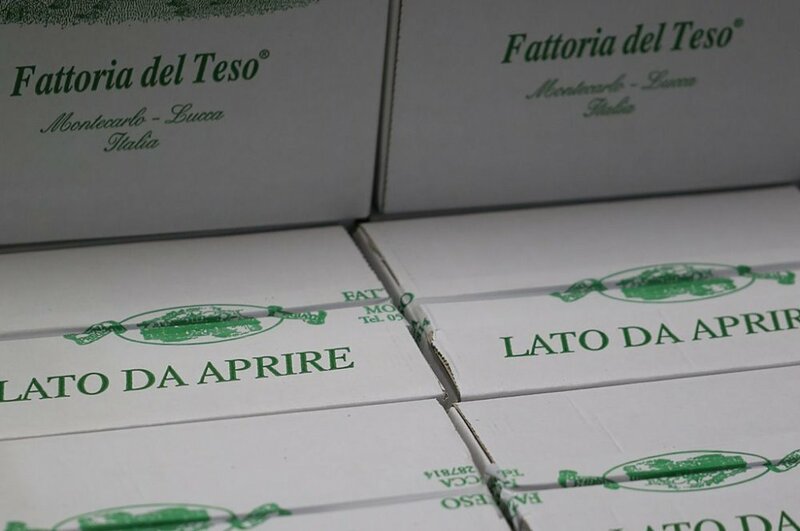 The Fattoria del Teso is situated in the Municipality of Montecarlo, a picturesque medieval village roughly halfway between Lucca and Florence. 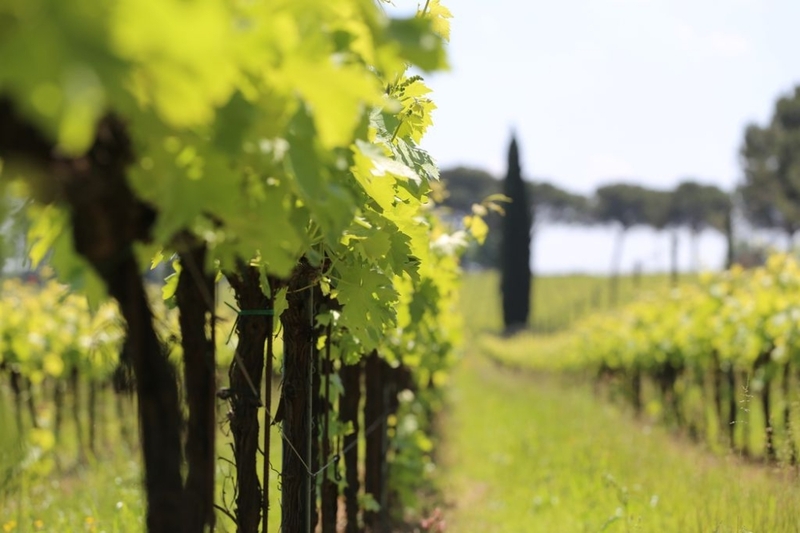 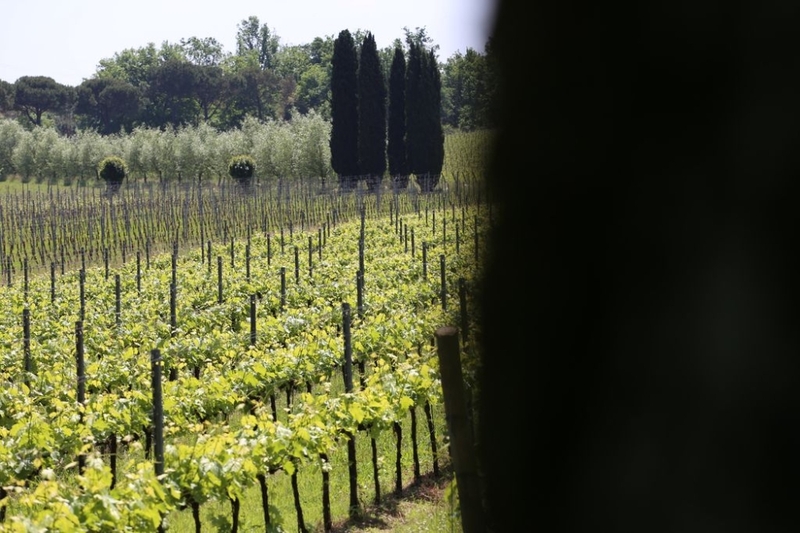 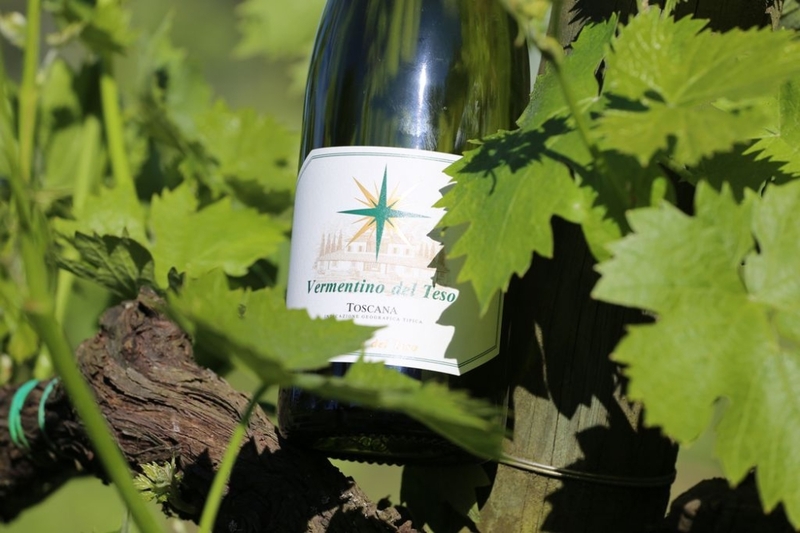 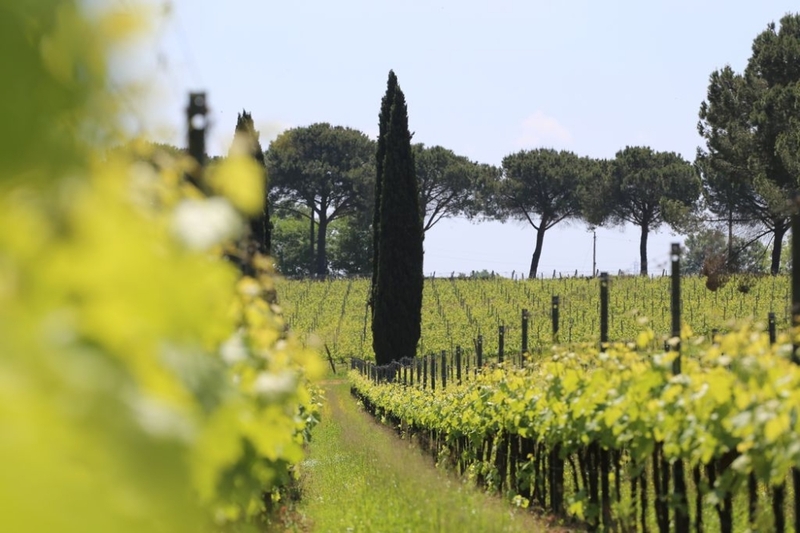 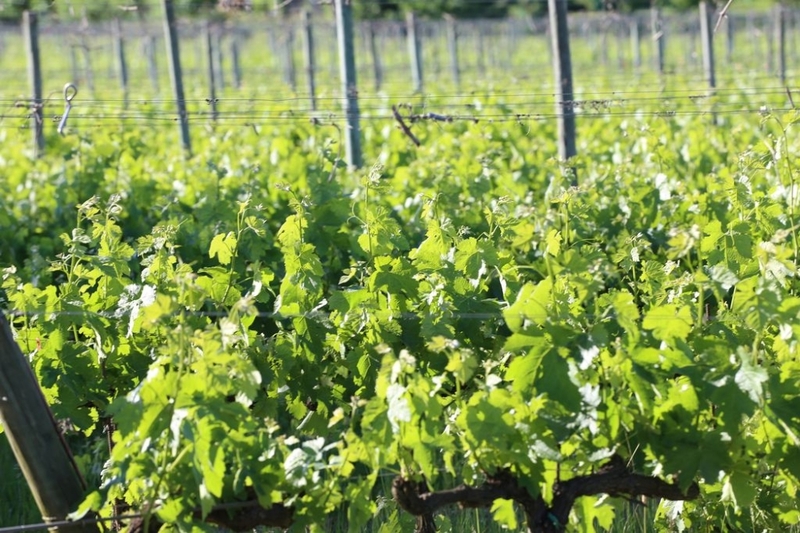 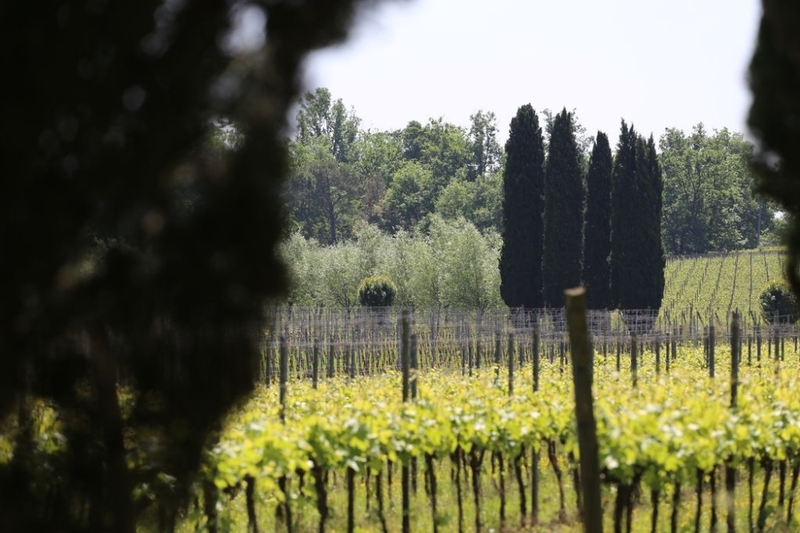 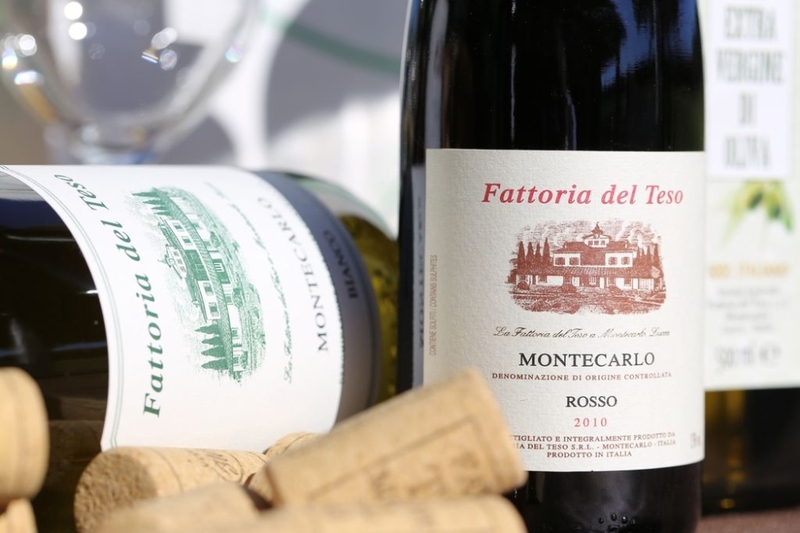 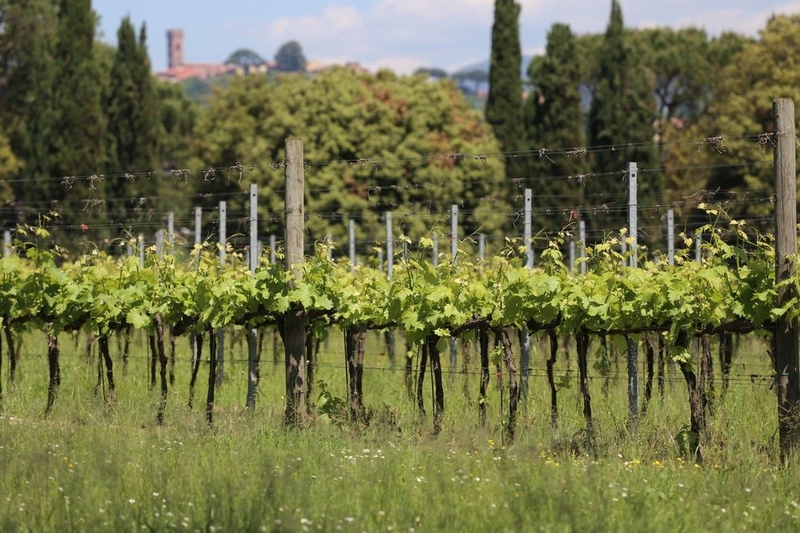 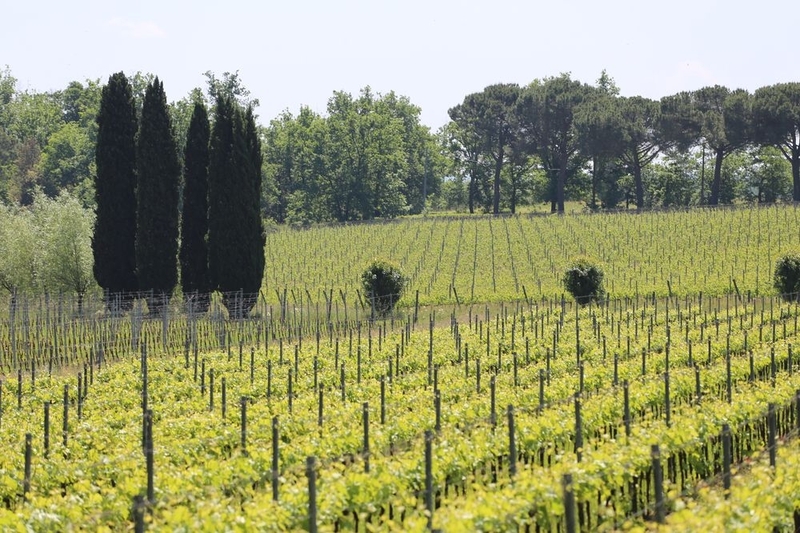 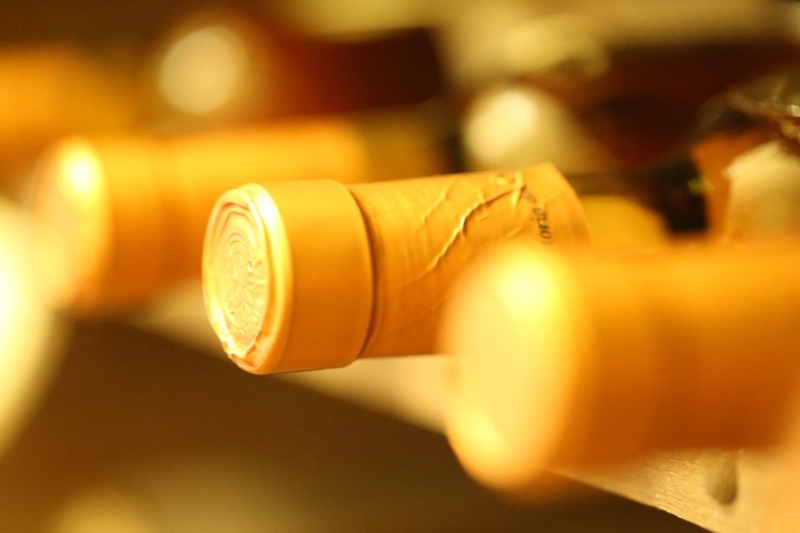 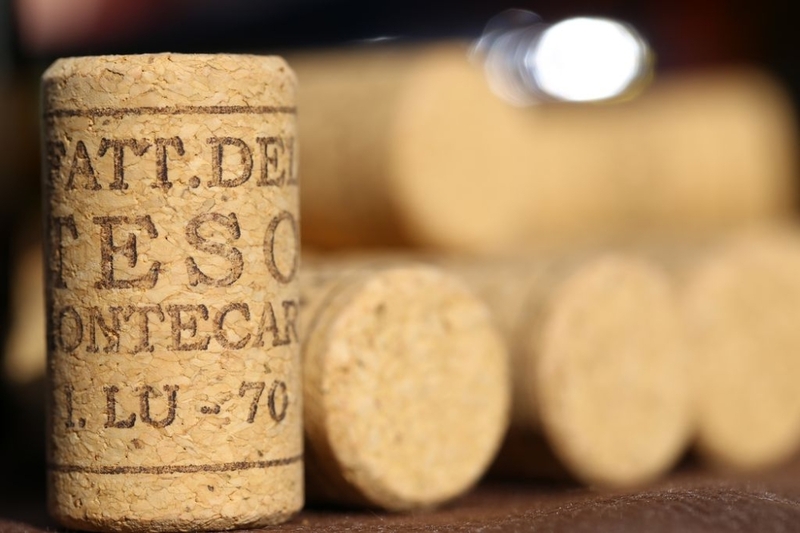 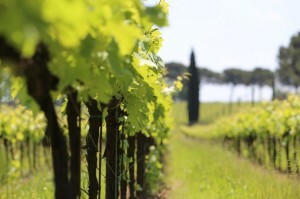 Given its favourable climate – 50 kilometres from both the Mediterranean sea and the Apennine mountains – and the suitability of the soil, the territory of Montecarlo has specialized in viticulture since the days of the ancient Romans. 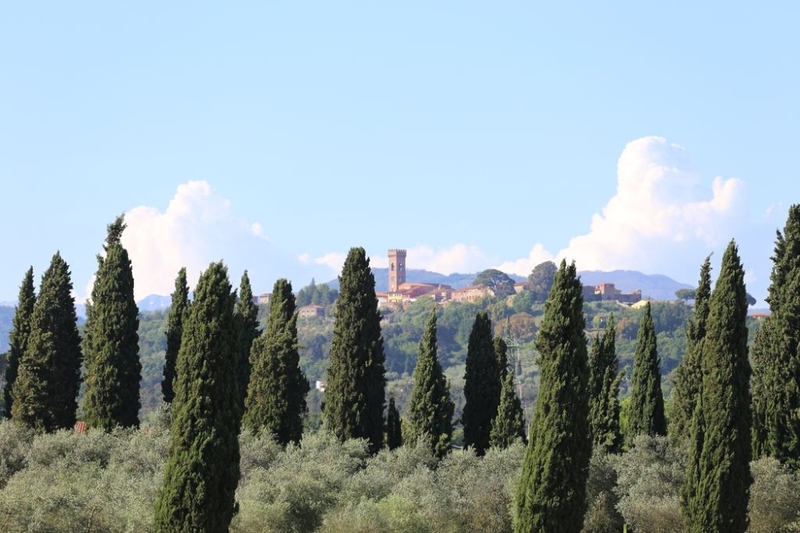 In fact the original name of the village was Vivinaia; it was renamed Montecarlo in 1333 in honour of Charles IV of Bohemia, soon to become Holy Roman Emperor. 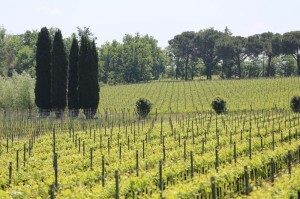 In the second half of the nineteenth century viticulture in Montecarlo took a decisive step forward when a group of winegrowers went to the Chablis region in France to study the renowned techniques used there. 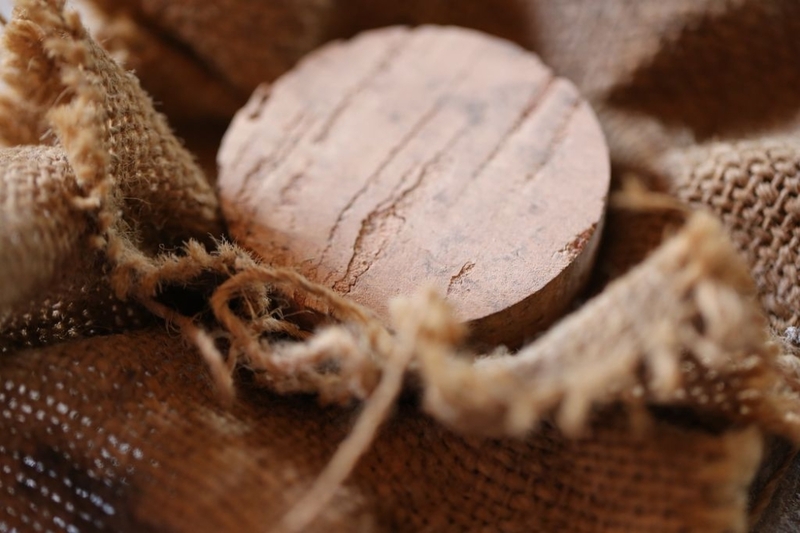 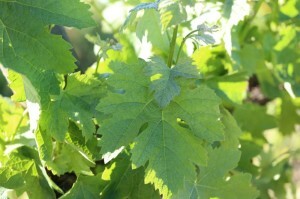 They returned home with new vines and methodologies. 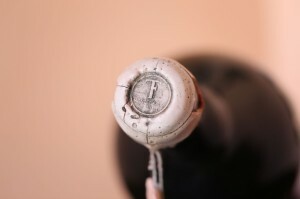 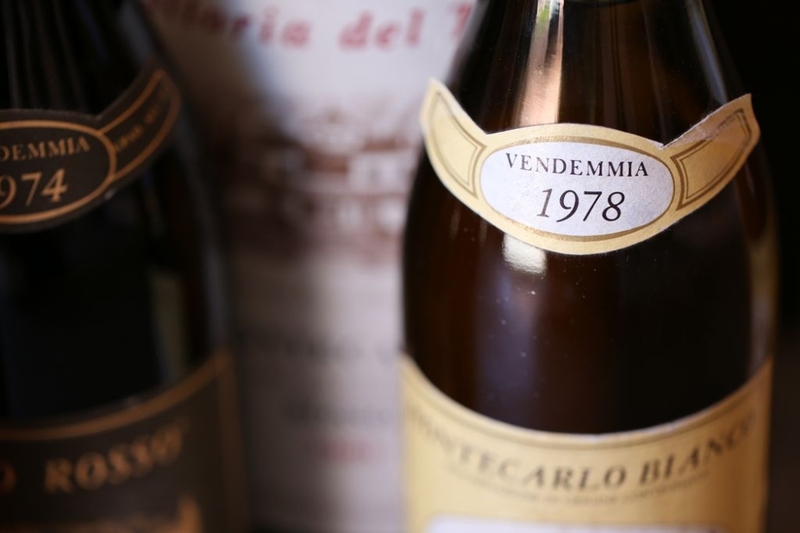 In 1930 the Montecarlo wine was chosen to be served at the wedding of the future King of Italy Umberto II. 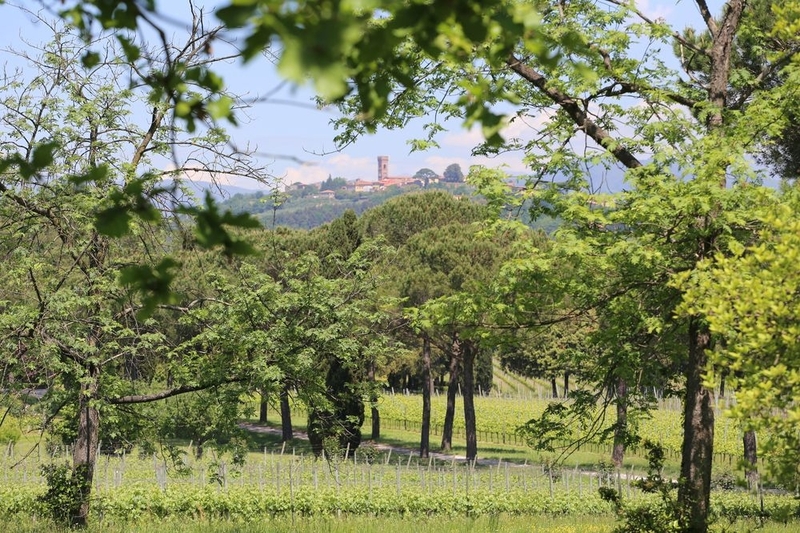 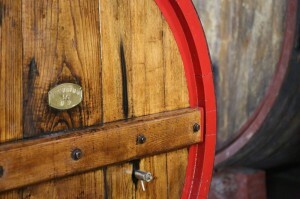 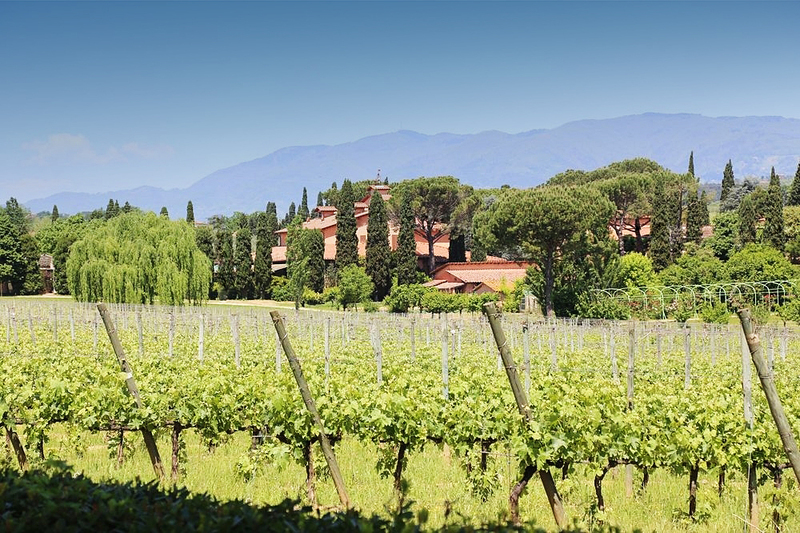 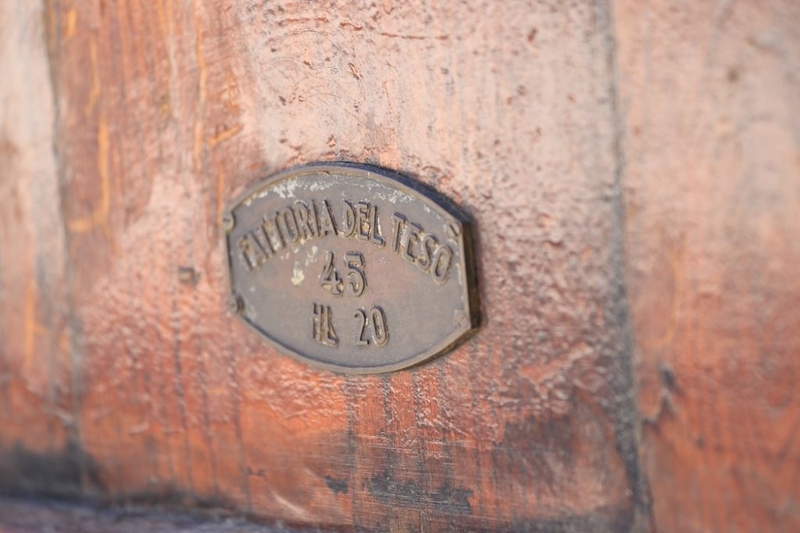 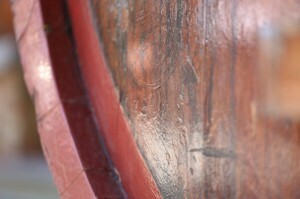 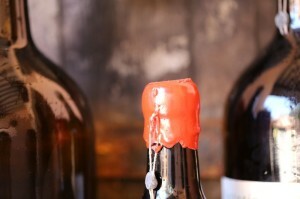 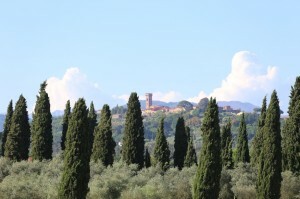 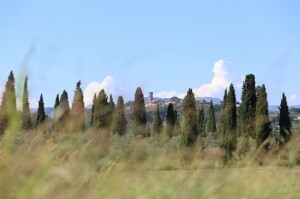 The Fattoria del Teso is an historical property, fought over by the nobility and clergy since the middle ages. 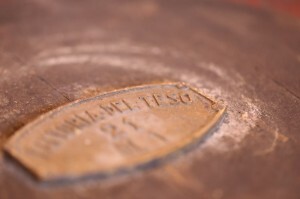 A parchment dating from 1253, held in the Lucca Municipal Library archive, documents a dispute between the Camaldolese (Benedictine) Abbey of Pozzeveri and the Noblemen of Uzzano and Vivinaia about property “in loco ubi dicitur… Teso”. 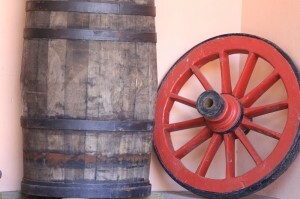 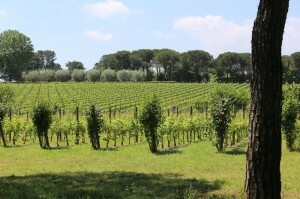 Since the early 1970s it has been run according to the most modern agricultural principles and has always been to the forefront in techniques for planting and tending the vineyards and for the subsequent fermentation and ageing of the wine. The vineyards now cover about 15 hectares. 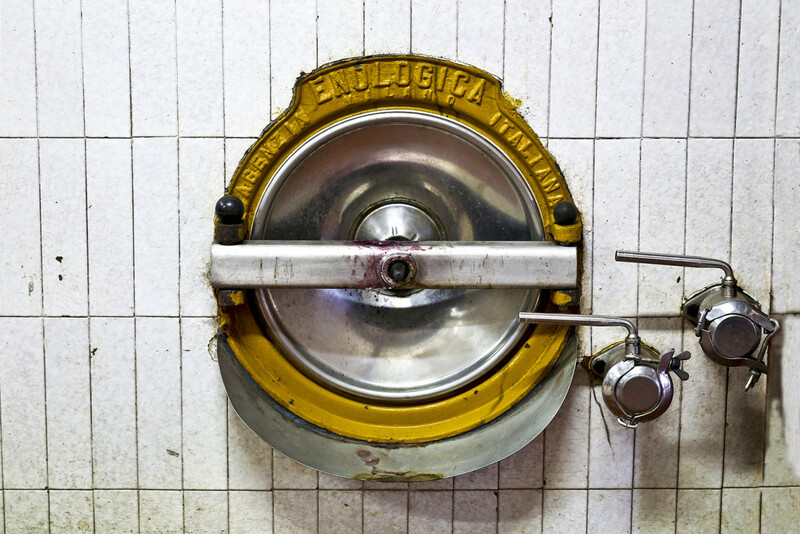 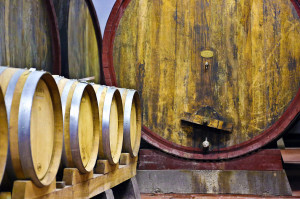 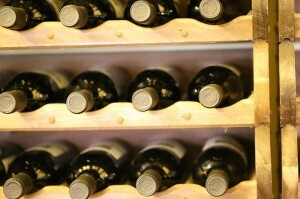 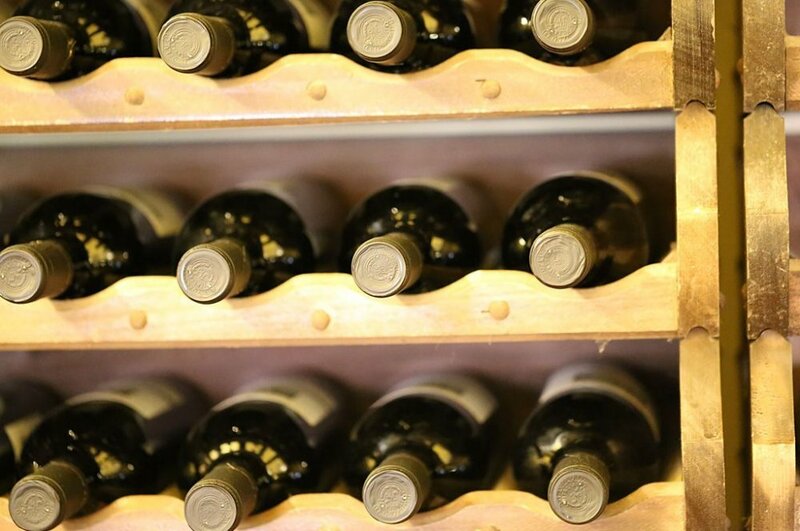 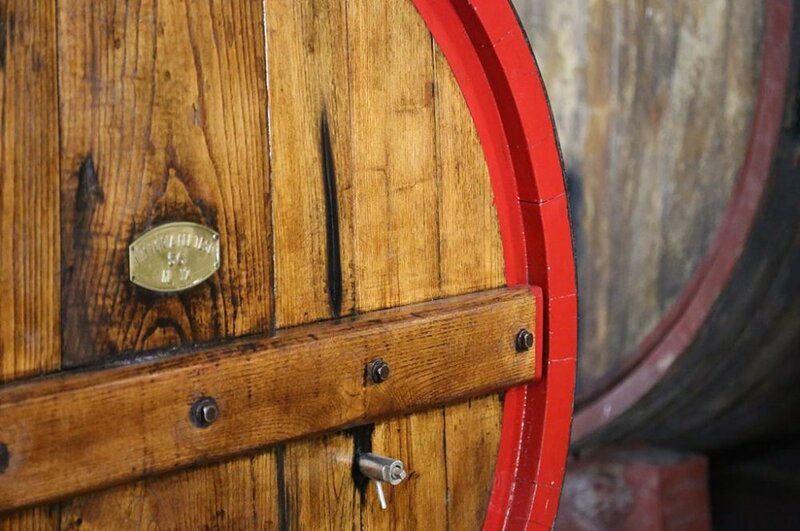 All phases of processing at the Fattoria, from fermentation to bottling, are overseen by the oenologist Francesco Bartoletti, who has extensive experience in Italy and abroad. 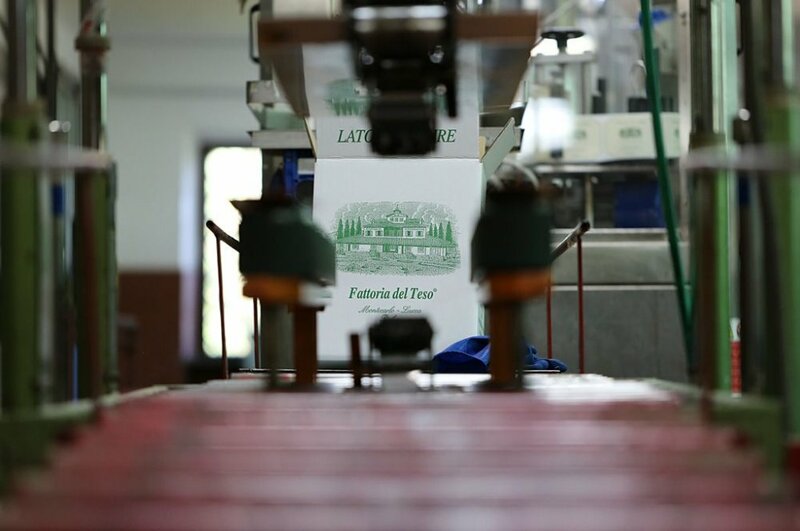 ll phases of processing at the Fattoria, from fermentation to bottling, are overseen by the oenologist Francesco Bartoletti, who has extensive experience in Italy and abroad.